London’s oldest botanical garden appointments. 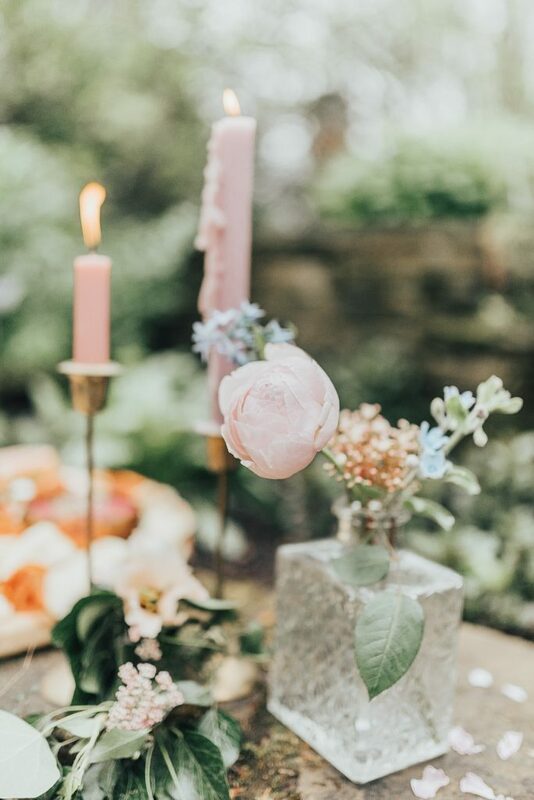 Romantic story telling, fine art photography London and Kent based. Available worldwide. 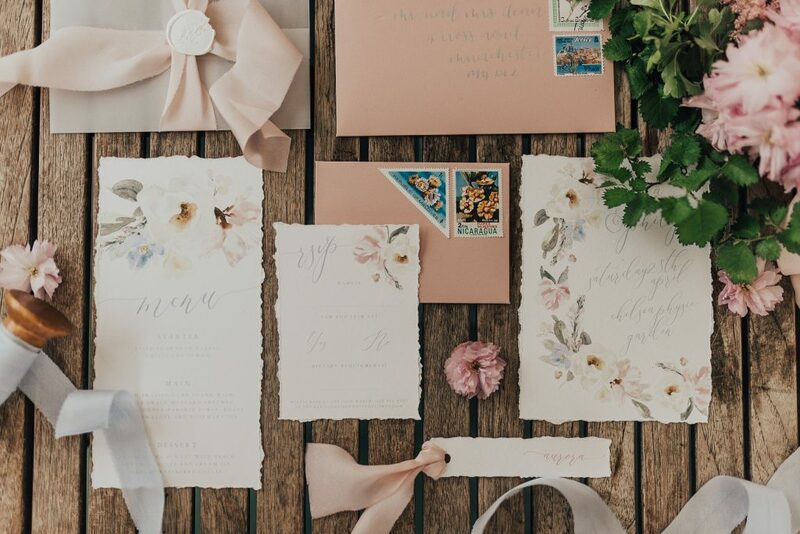 Exquisite floral storytelling. 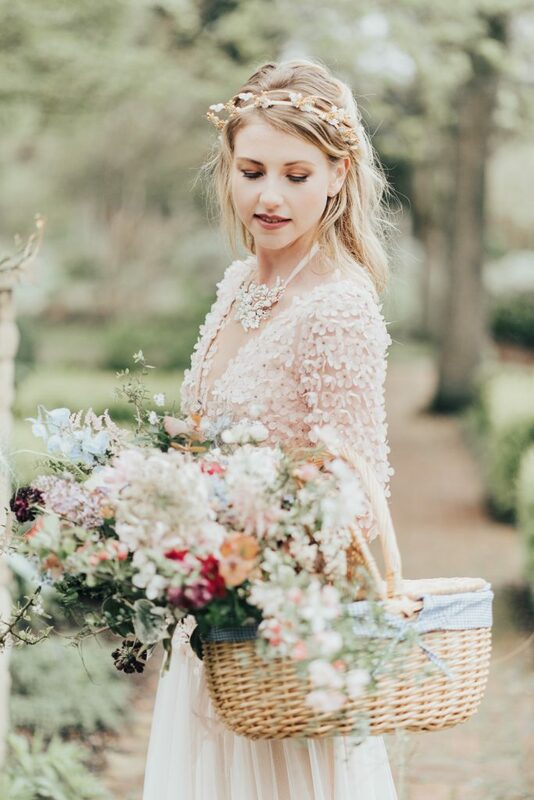 Creative floral design studio. 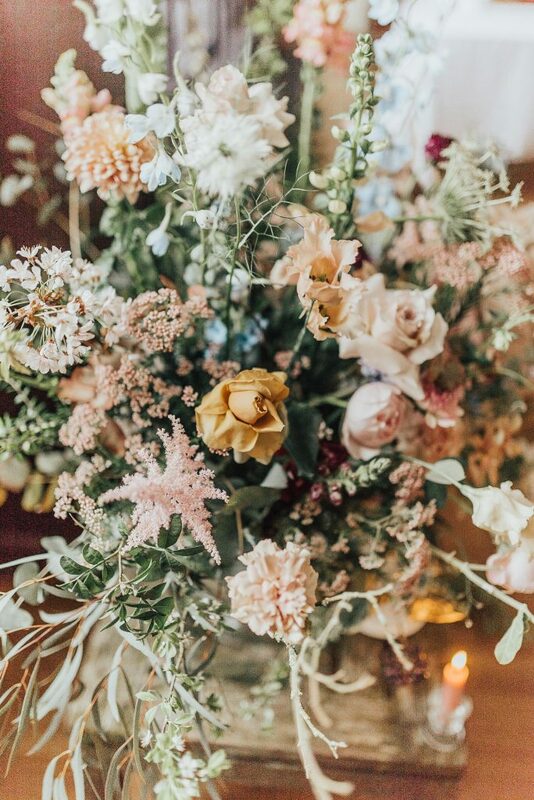 Romantic & artful wedding & event flowers. ALondon based milliner, creating hats and headpieces using traditional couture millinery techniques. 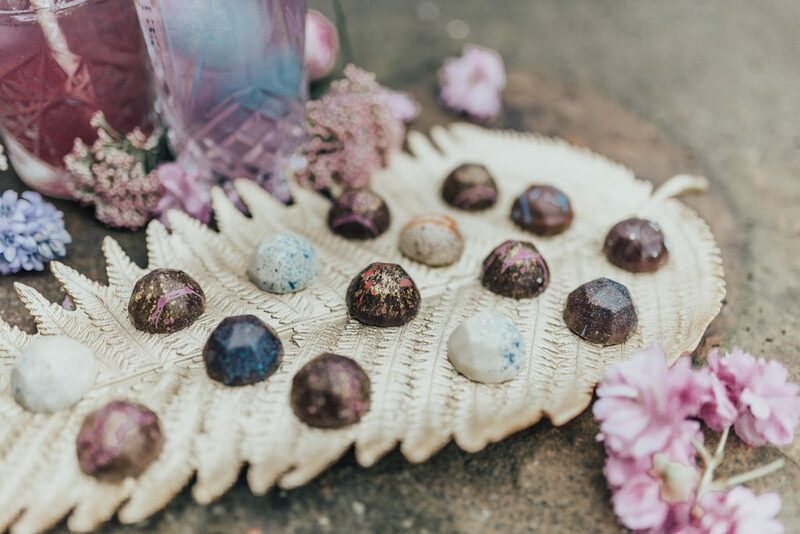 London based fusion handcrafted chocolates and hand desserts using premium ingredients inspired by India, East Africa and England. 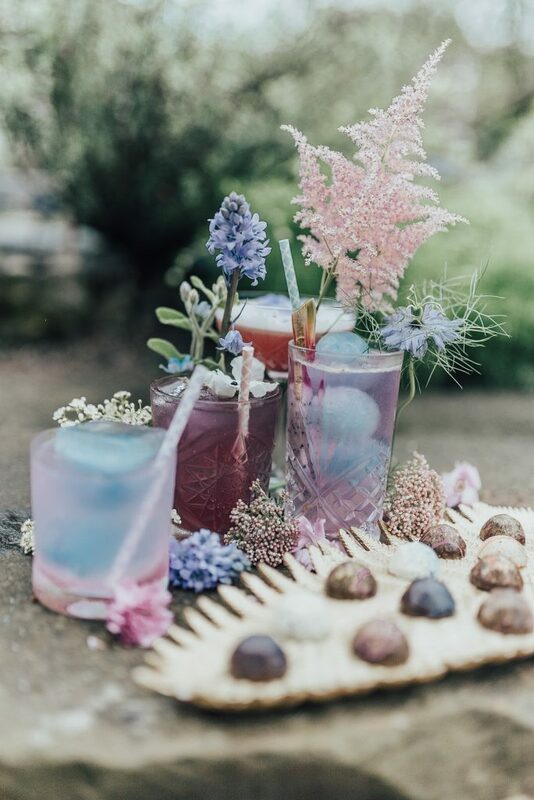 Event cocktail solutions delivering mobile cocktail bars and mixologist hire. 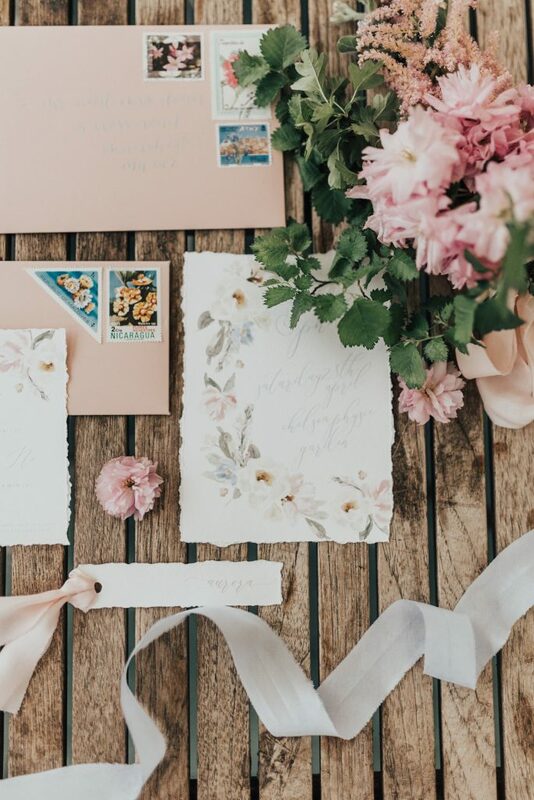 Available across London and the U.K.
Specialising in rustic and boho wedding stationery, designers of award winning wedding invites for happy couples from across the world. 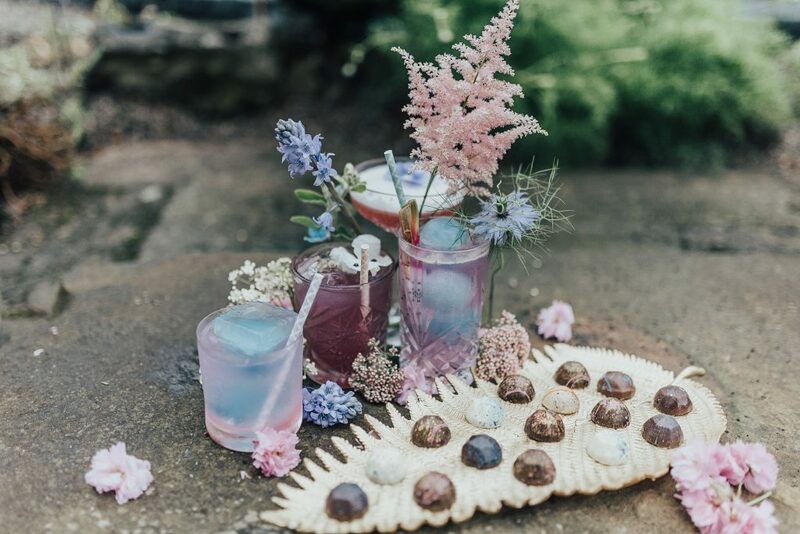 Provides a unique aesthetic to beautiful weddings worldwide with a passion for colour and a love affair with all things quirky and creative. 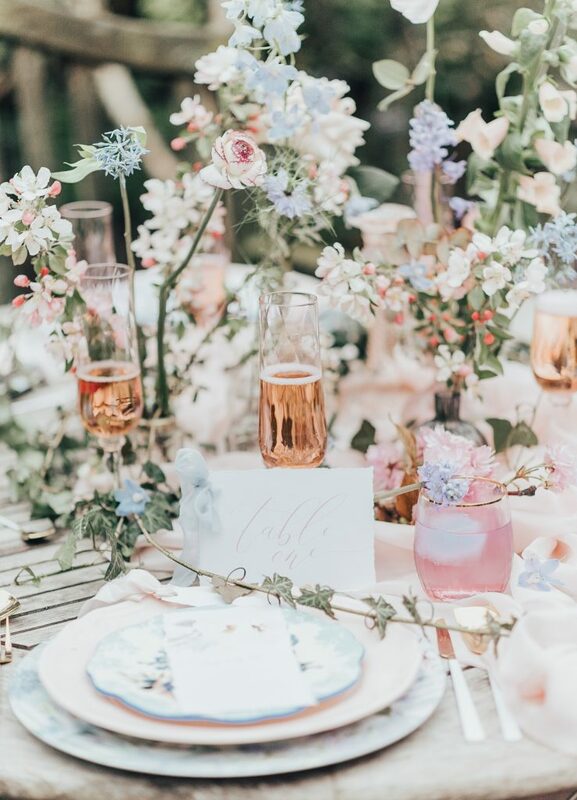 Step into a wonderland of floral lust, bushes and bursts of pink and blue florals by Saint Floral. 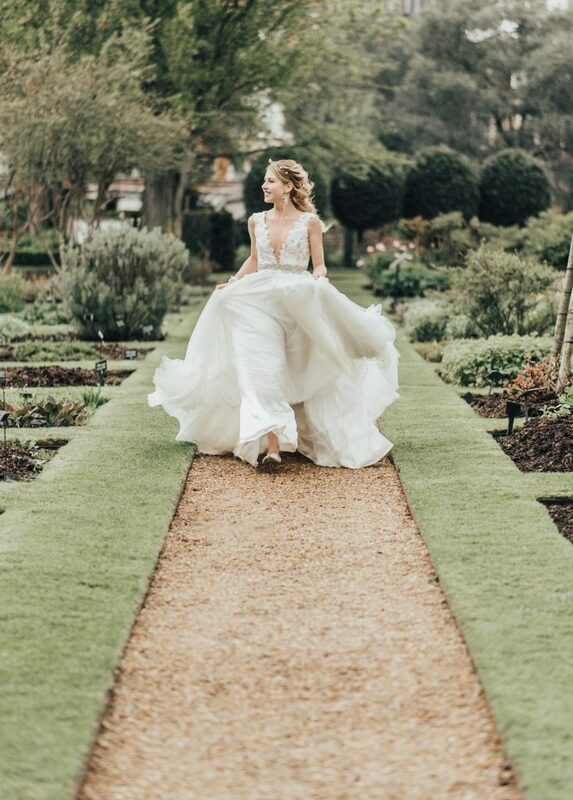 Escaping from table displays, cake trays, the beautiful gardens of Chelsea Psychic Gardens elope their natural music through to the grounds pathways, the cocktails, the dress and veil, even the accessories. 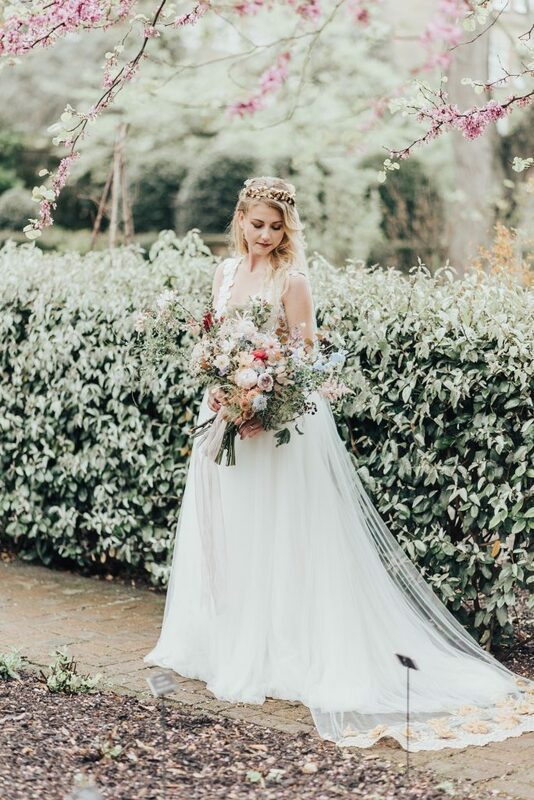 This enchanting display has us in melodic waves of awe, and above all, our bride Aurora is positively radiant. Kayleigh brought the Princess Bride to life from those story pages and the adorable animation we all know so well. 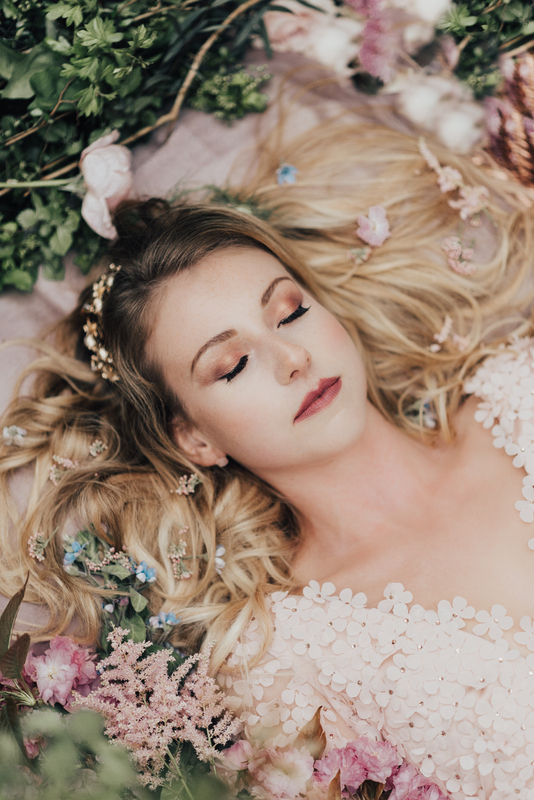 Auroras natural beauty and grace shone through with model Gemma’s fresh and youthful look. 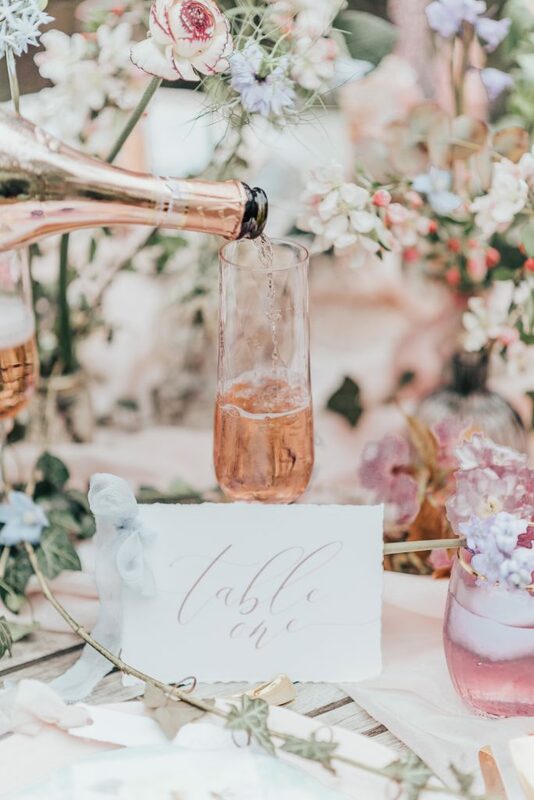 Eye shades of pink and a touch of gold to compliment the overall styling of the surroundings brought together magically by the talented Valentina of The Stars Inside. 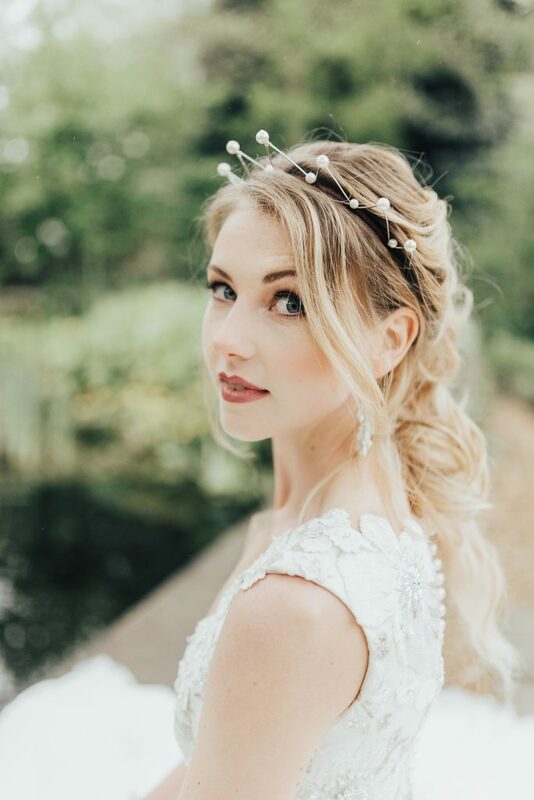 Showcasing naturally gracious waves in a loose half up-do by Cassandra Rizzuto captured Auroras innocence, and was complimented so well with our soft Reign Crown. 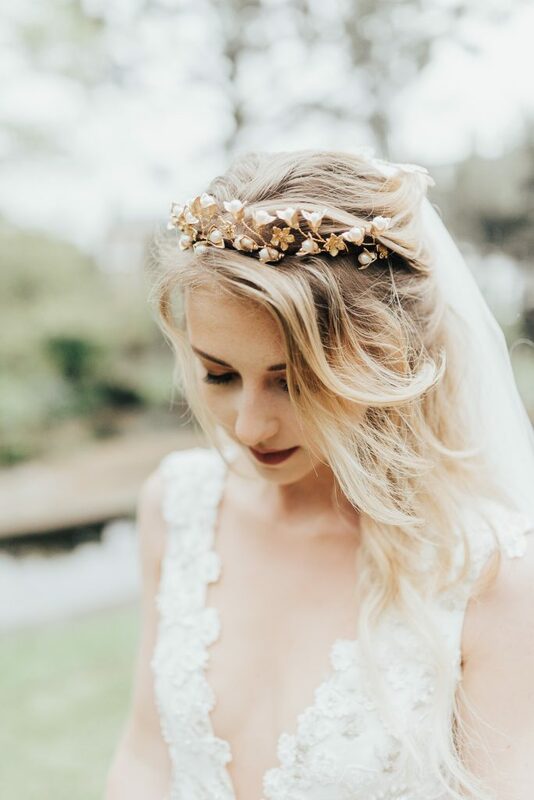 Golden buds with freshwater pearl centres displayed whimsical fairytale royalty. Reigns natural elegance was exchanged for a bolder look later on, with the sharper angles of Galatea to showcase the power and presence of the Disney Princess. 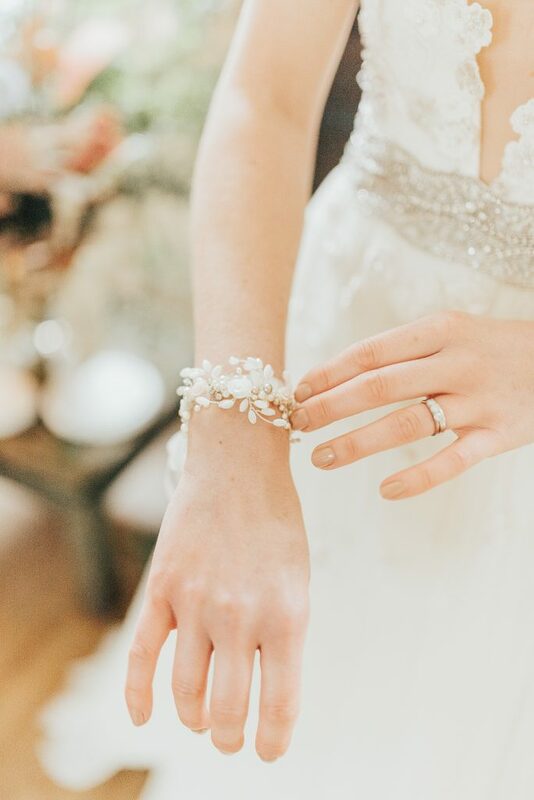 Aurora’s look was finished with the most delicate of jewellery pieces by Clare Lloyd accessories… Prince Phillip and his true love kiss couldn’t resist our pretty princess if he tried! 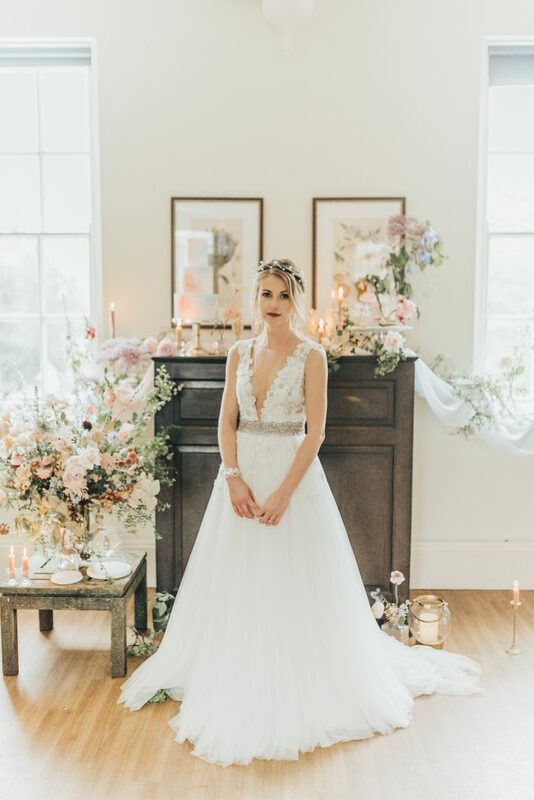 For a fantasy gown celebrating all the blossoms, there would only be one choice for the bridal gown designer and Audrey Ashley Couture did not disappoint. 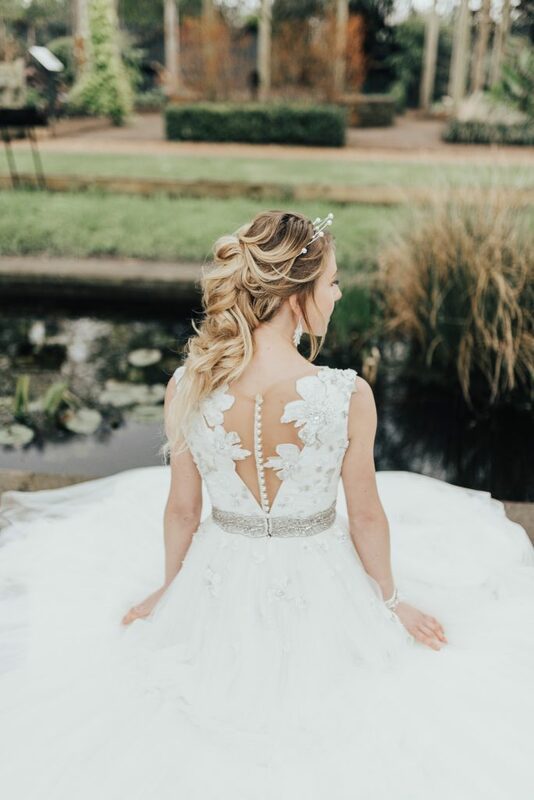 With floral lace panels growing through the bodice to a flowing tulle skirt, Auroras’ gown could not have been more fun and fitting. 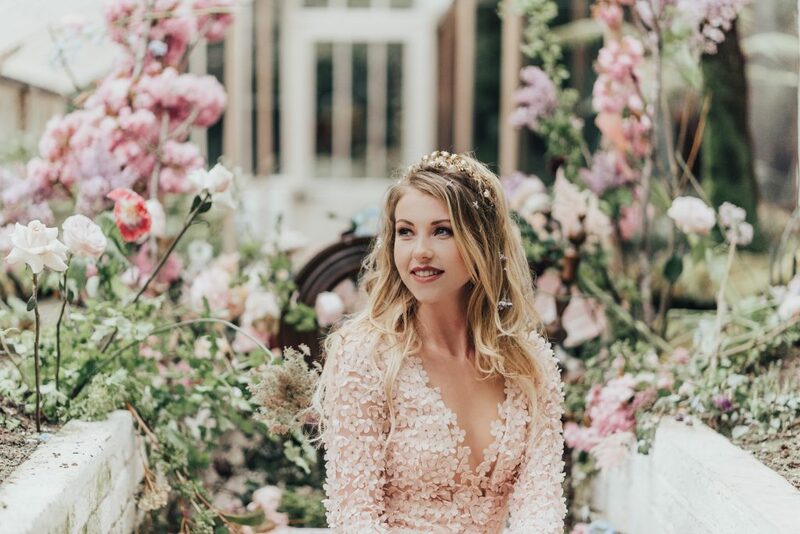 Inspired by the original story and the fight for the pink or the blue gown, Auroras gown blossomed into a celebration of warm pink adorned in tiny flowers. 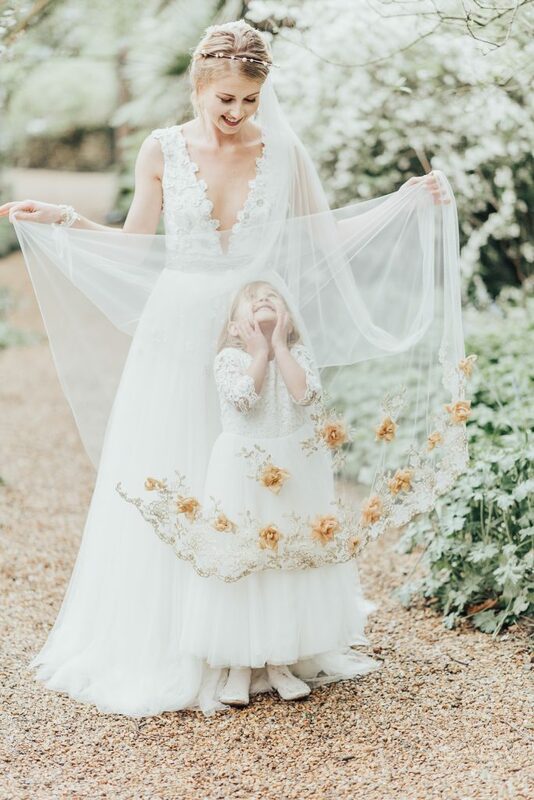 A gorgeous flowing veil by Mcfadden Millinery showcased golden blossoms and continued the essence of royalty through to the trails of Auroras look. 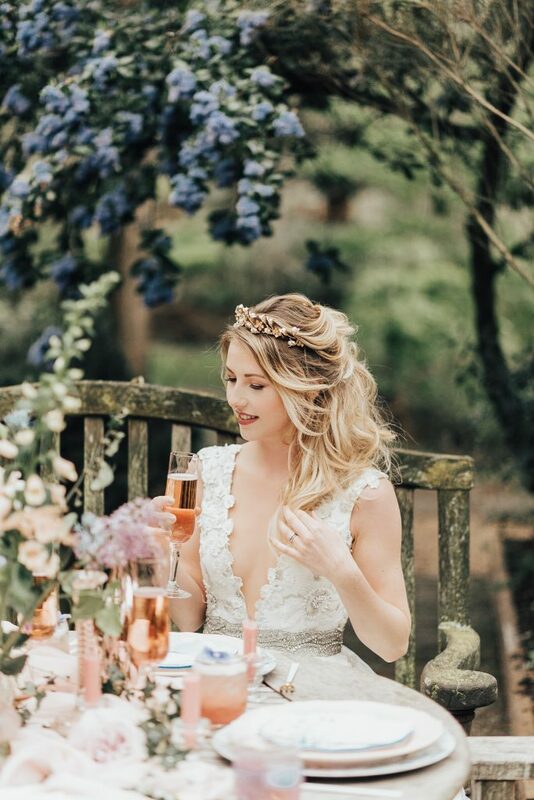 This fairytale accessories moved beautifully amongst the fallen blossoms of the surrounding displays, crowned by headpieces of yours truly, Hermione Harbutt. 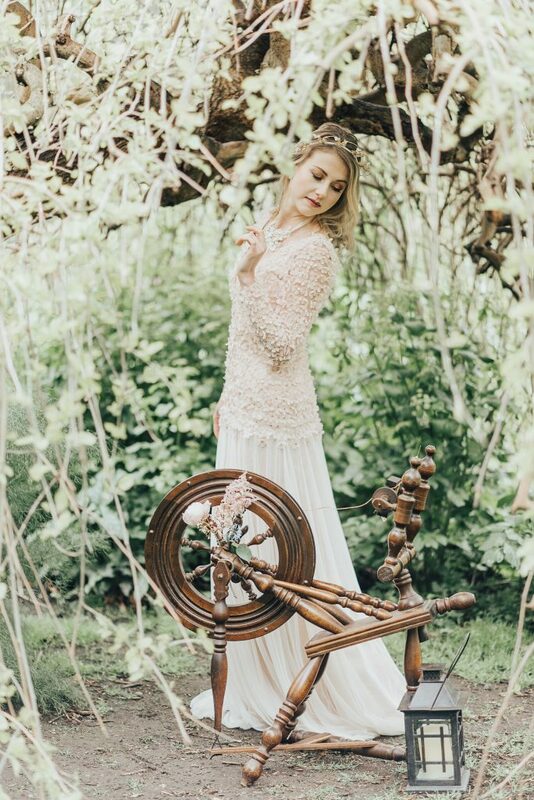 The Princess of this fantastia became one with her enchanted forest and therefore one with her own legend! 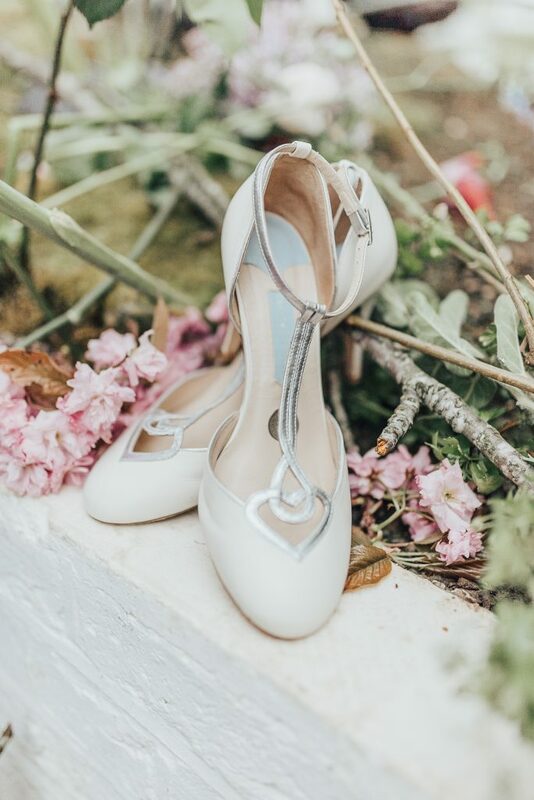 A heeled pump fit for a princess supplied by Charlotte Mills was the perfect finishing touch to our ultimate bride! 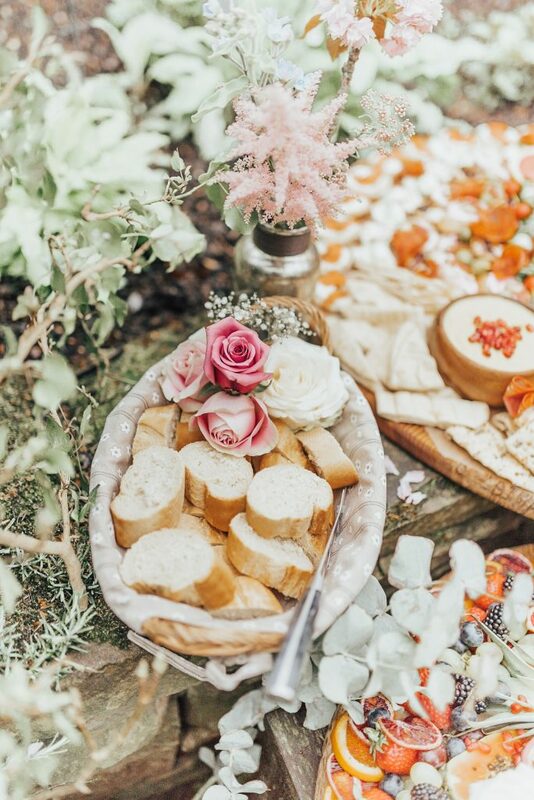 Our forest maiden turned Princess Bride parades a banquet like no other. 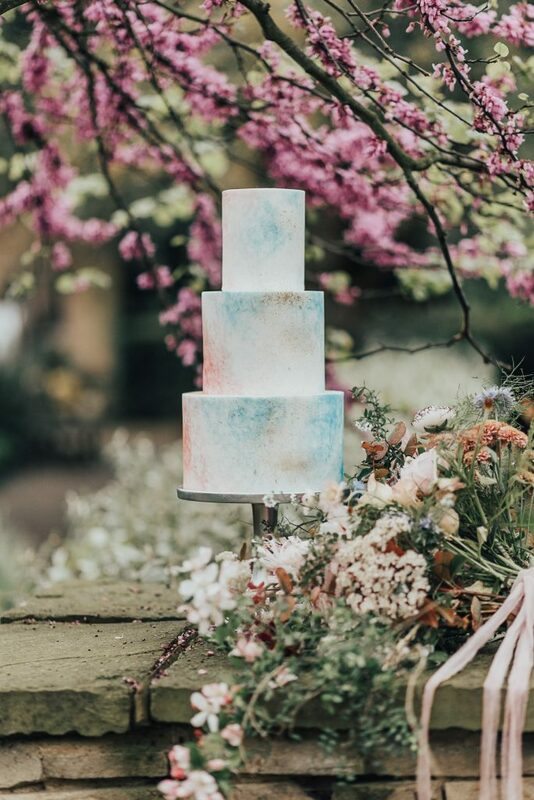 Colourful displays of tasty treats surrounded a cake with tiers of blue and pink. 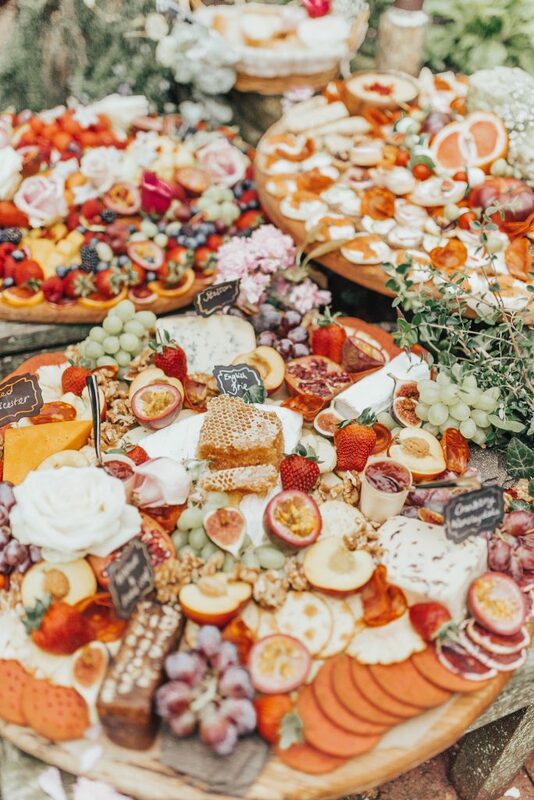 Plates of mouthwatering desserts and treats and a fruitful menu was the heart of this most awaited of celebrations. 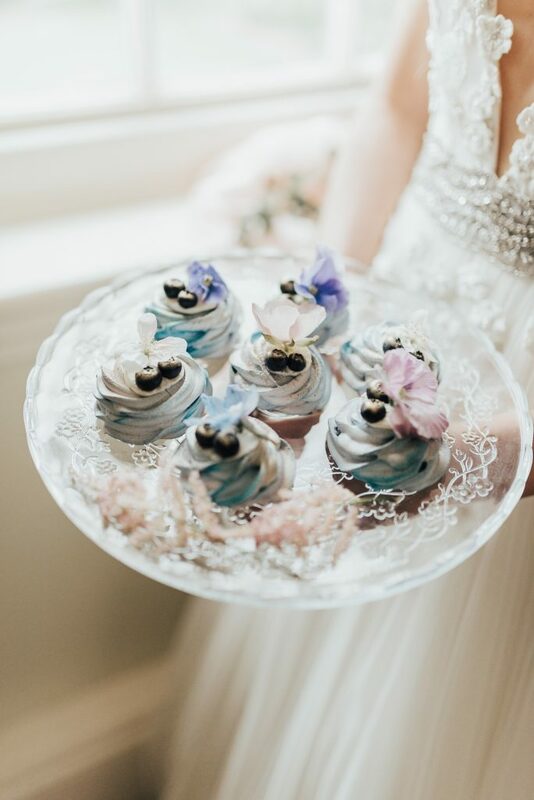 The magical cocktails and miniature chocolates really were the icing on the cake! 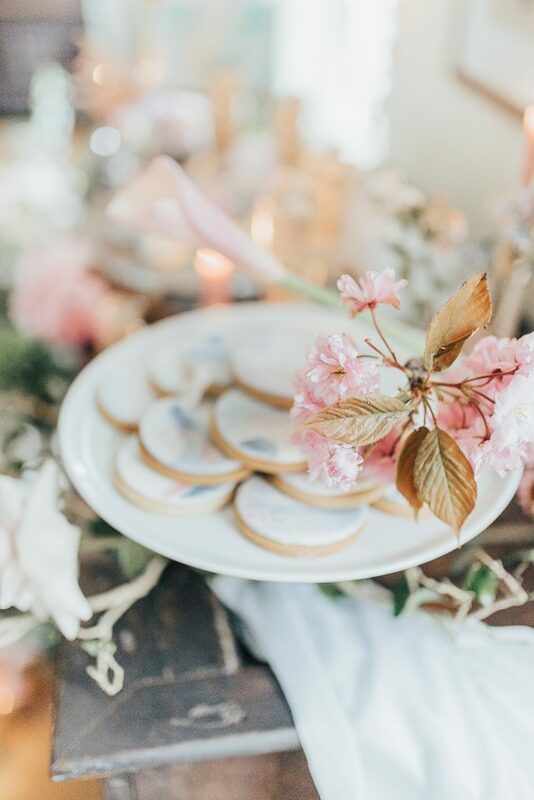 Malarkey Cakes, Platter London, The Cocktail Service and The Painted Peacock worked in matrimony to bring the feast to such a fantastical fruition! 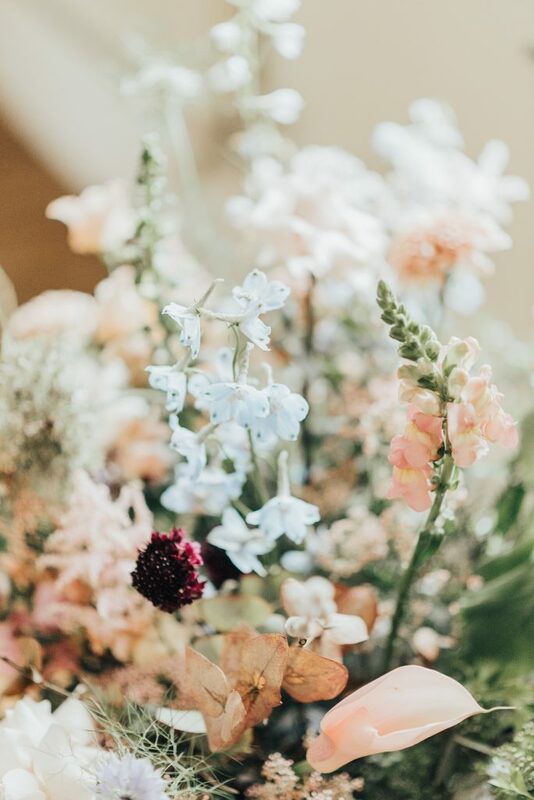 And all appearing amongst the stunning floral visions by Hannah of Saint Floral, Auroras wedding is one worth dreaming for! 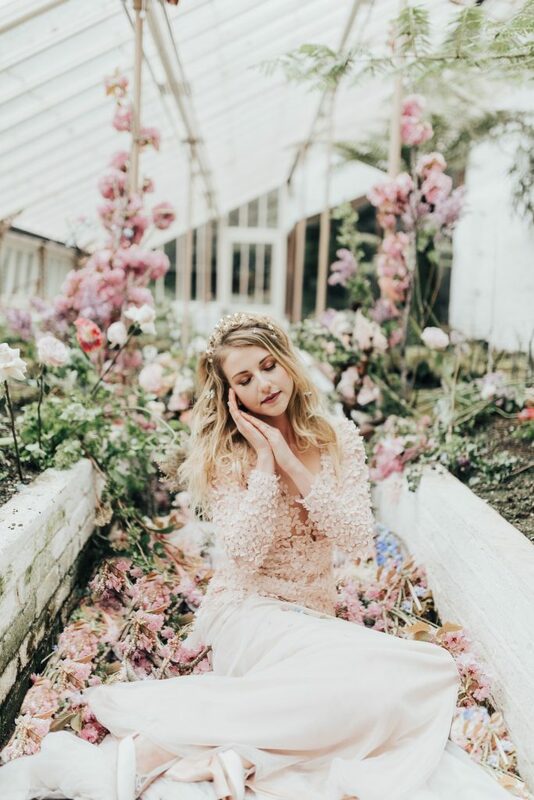 The magic and musical beauty of this shoot continued… Hidden in every nook and cranny of the grounds, the team captured new and exciting stories evoking Aurora’s grace. 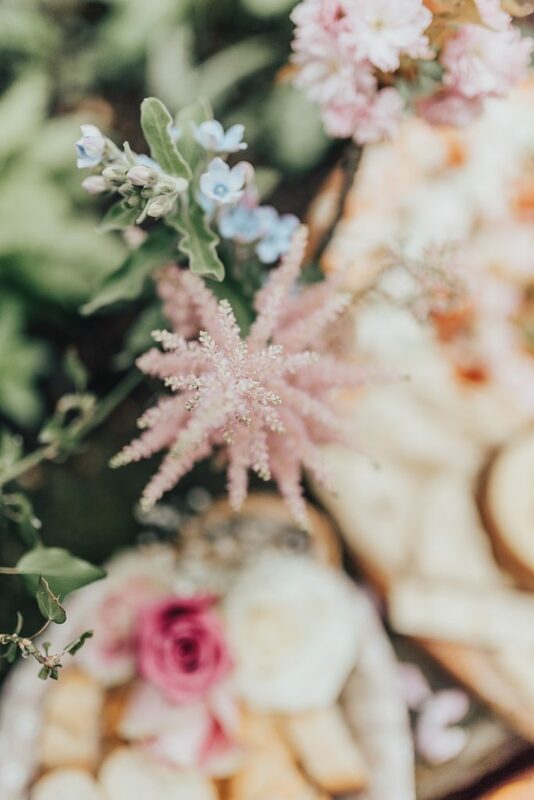 Her beautiful story and even her darkest nightmares were revealed and hidden in harmony amongst a perfect balance of thorns and branches beneath blossoms and blooms of beauty. 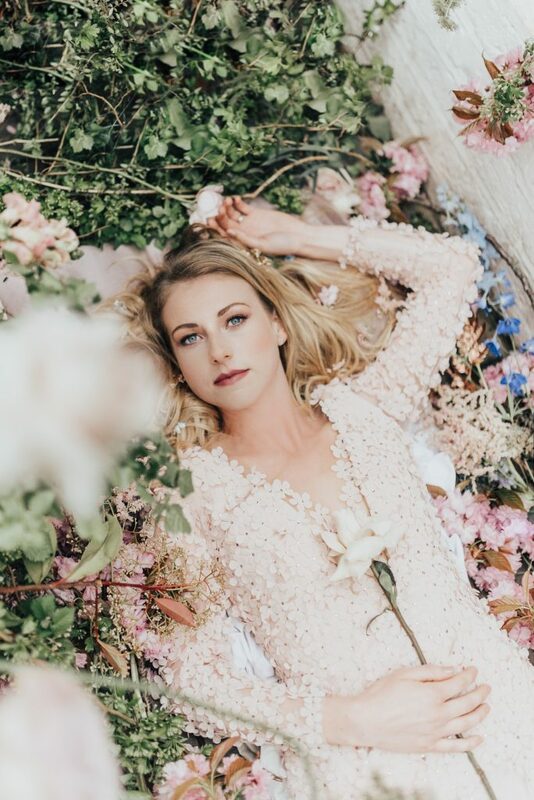 The rustic charm of Aurora’s enchanted forest whence she grew up and discovered her darling Prince Charming appeared in more than just the flowers. 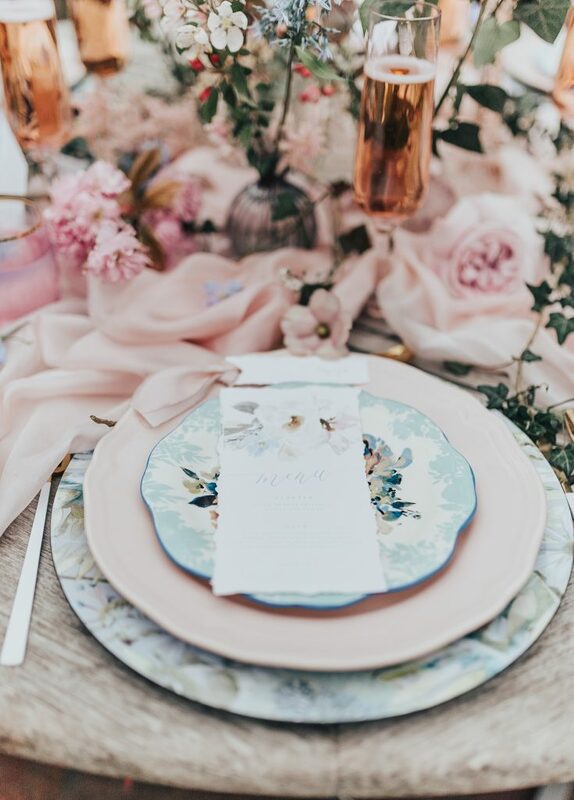 Wonderland Invites created the perfect collection of invitations, menu cards, table names and favour displays with their organic, rustic and beautifully considered designs. 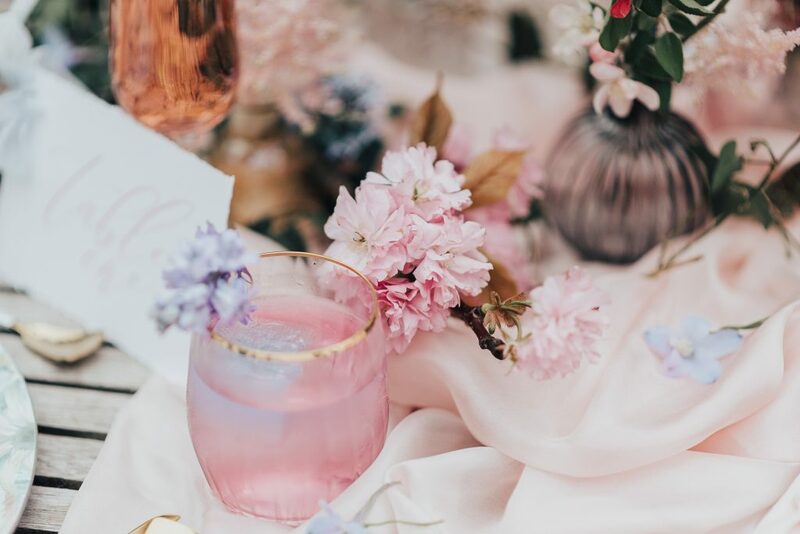 With a backdrop of wood and tall trees, the only match for their aesthetic was the beautiful Pom Pom Blossom. 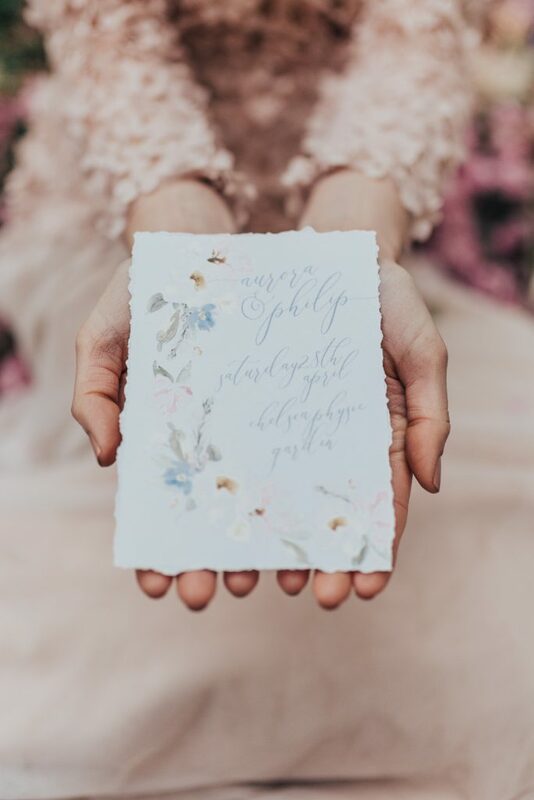 The silk textile creators worked closely with the dreamy stationers to create a showcase of design with the prettiest of silks and ribbons. They even created a unique silk banner to emphasise the uplifting and magical atmosphere of this unique collaboration! 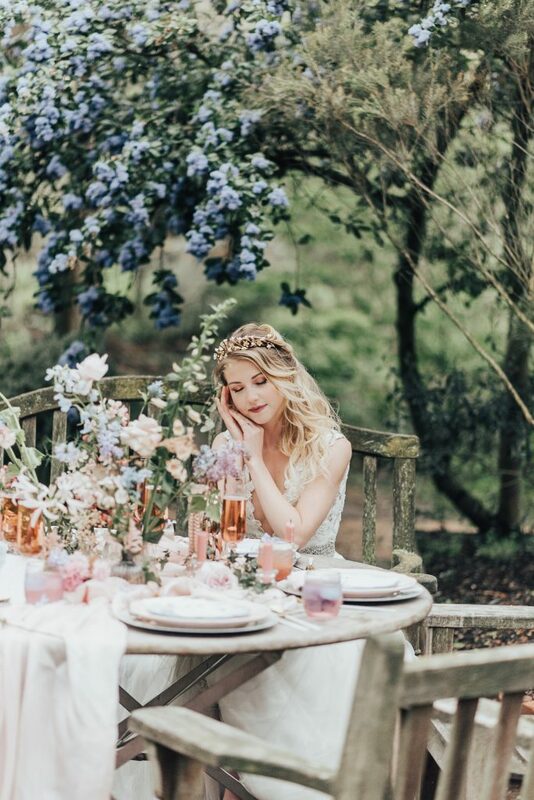 Auroras wedding was captured in all the magic and enchantment by the talented Rebecca Carpenter with the full blog feature and “the making of” available with Rock My Wedding. Take a walk through the story like it’s never been told before with this stunning film by JW Creates.